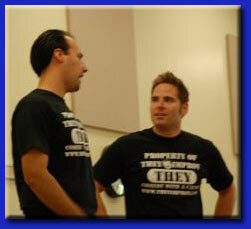 THEY improv is a leader in training and bonding for multi-national companies and provides improv comedy, game shows and murder mystery dinners for entertainment options for a variety of groups and gatherings for their corporate meetings and incentives event, private parties, team building workshops and banquets in Bahrain. This includes in Manama, and the rest of the country. Due to the position of our facilitators in Manama, THEY have a variety of programs to take advantage of the beautiful backdrop of the capital while developing skills that will prove useful when returning to a more regular work environment at reasonable prices. The rest of the Bahraini cities and countryside can gain benefits from our programs as well, but sometimes at an increased cost for more isolated areas. If you have a group looking for quality Manama corporate event, banquet and private party entertainment, look no further than THEY improv in the Kingdom of Bahrain to get you what you need to entertain and advance the cause of your company! 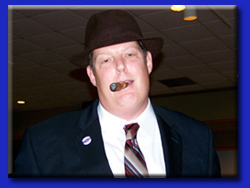 Whether you'd enjoy an improv comedy, interactive game show or murder mystery dinner, THEY improv can provide you with Manama private parties, corporate events or murder mystery dinners that will help you succeed beyond your expectations! THEY improv leads the way for Arabian Peninsula murder mystery dinner shows for private parties, banquets and corporate events. With a cast of detectives, mysterious suspects and plots customized to each group at a venue of your choosing for luncheons or dinner shows, THEY improv will have your group trying to discover whodunit while laughing the night away. And for smaller groups, THEY improv has a game show where the participants play all the characters in a mix and mingle party designed to get people to talk to each other and have a great time in a no-pressure environment. 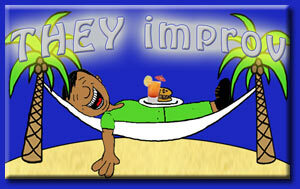 Improvisational comedy is a great way to have an ensemble entertain your group in a relaxed atmosphere. This can be done very presentational or more intimate if you prefer. The nature of this show is lightning in a bottle. There are moments that can never be repeated because everything is made up in the moment. The audience shares the creative process and can be active participants in the fun. Game shows invite your group to participate more directly through actually coming up on stage and being put through TV Show-styled game shows to compete for not very expensive prizes (we wouldn't want anyone unhappy that they didn't win). With a wide selection like our version of the Family Feud, the Match Game, Minute to Win It or the Newlywed Game, there is something to take care of your group. For companies, this can take the form of employee appreciation, meetings and incentives awards, client appreciation or executive retreats and just about anything else you can think of. Sometimes strictly for entertainment and sometimes for team building, each gathering is focused on what your goals are. After all, it's not for what we need, but for what THEY need. Besides the great restaurants at the resorts and hotels, THEY improv can come directly onto your yacht or area banquet halls or even the beach. This can provide the most intimate of options for your amusement for company gatherings while taking advantage of the luxury that an Arabian Peninsula vacation can evoke. This opens whole new ideas and possibilities that you might not have even considered. The beauty of the historic buildings and natural backdrop makes a great place to get away from it all. This means that offsites as well as meetings and incentives awards trips use this as a destination. We can help improve the enjoyment of the area through a variety of indoor or outdoor activities. All of these forms are excellent ways to boost the morale at meetings and incentives awards gatherings providing new ways to get people to work together for team building while showing your appreciation for their hard work. Whether you are looking for employee recognition, a holiday party, or simply a good time, we have ideas that can help your organization with its bonding. Bahrain is a great place for American businesses to operate. Though language can be an issue, and with a different outlook on what island living is like, the commonalities between Americans and the people of the Kingdom of Bahrain still far outweigh the differences. This makes working together rather natural, though still with some difficulties. Having a company such as our own that can come in and employees to work together towards common goals of success. THEY improv uses a variety of techniques to remove the barriers between people and get employees working together towards common goals. The Kingdom has a free trade agreement with the United States. This has allowed for several US companies to enhance operations within the Kingdom. This means US workers and a need for American training programs. We are happy to discuss the needs with your HR department and potentially assist in-country with programs to help the bonding and training of employees. Manama is the focus of such possibilities and is the capital of the country. There is such a great cultural heritage that go far beyond the oil industry. Having American personnel learning more about the people and the culture can quickly change the perspective that anyone can have and help to ensure a harmonious work environment. The people are hard-working and loving and there is no reason that we can't work together more closely. Bahrain private parties for families or corporate events are improved through all of these programs. And for a country as interesting and diverse as the people are, THEY improv is ready to provide for all. After all, being improvisers, THEY can adjust to practically anything. 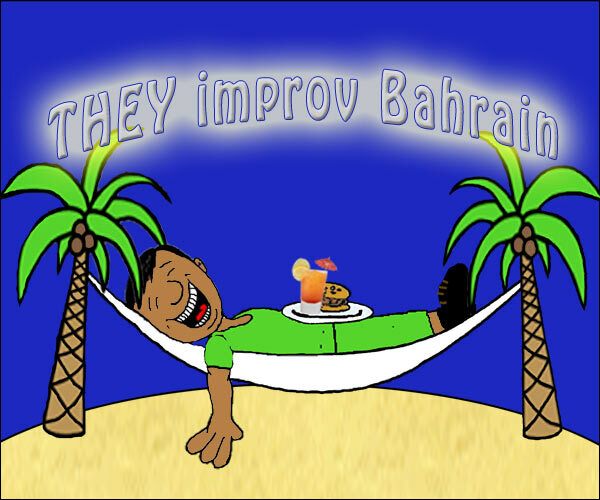 THEY improv is proud to serve all of Bahrain including the twin cities of Manama and Muharraq, Al Hidd, Hamad Town, Isa Town, Jidd Haffs, Riffa, Sitra as well anywhere else you can think of, though some of the more remote islands would likely result in added costs. THEY can help companies of every sort, from administrative to the government agencies to tourism related businesses such as hotels and resorts. THEY do so by consulting from our base and providing skilled facilitators in Bahrain to meet your particular needs. Contact us by email at info@arabianpeninsulateambuilding.com or by calling 866.219.4386 if in the US or +1 786.543.9472 if not.